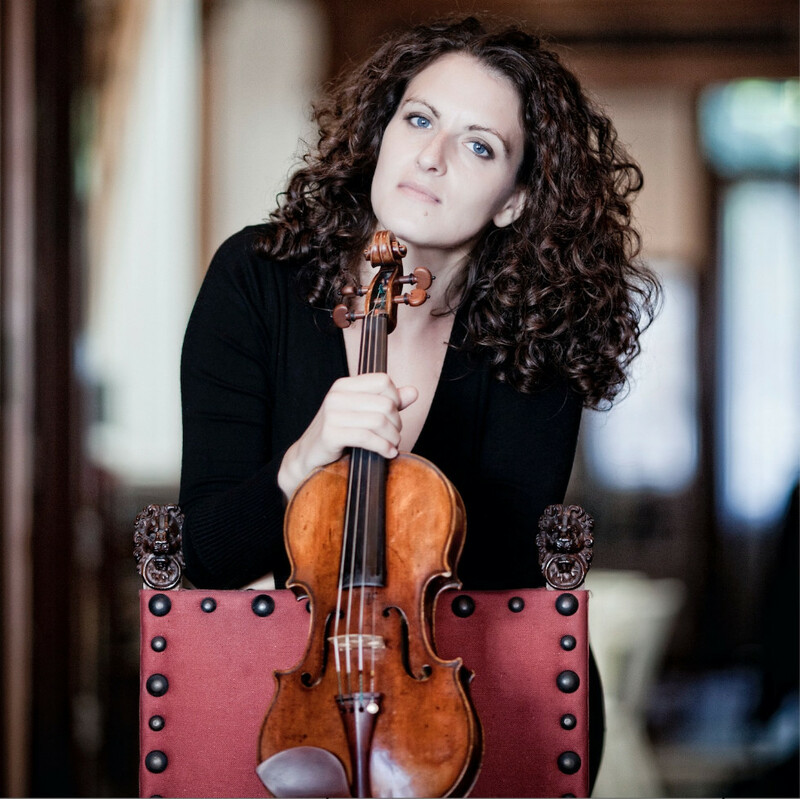 Dutch violinist Liza Ferschtman is known for her passionate performances, interesting programs and communicative qualities on stage. The daughter of Russian musicians, Liza Ferschtman grew up constantly surrounded by music. One of her earliest major influences was the violinist Philipp Hirschhorn, a close family friend. She received her formal training from Herman Krebbers at the Amsterdam Conservatory, Ida Kavafian at the Curtis Institute in Philadelphia and David Takeno in London. In 2006 she received the highest accolade awarded to a musician in the Netherlands, the Dutch Music Award. Liza Ferschtman's worldwide appearances include: BBC National Orchestra of Wales and London Philharmonic, Dallas and San Francisco Symphony Orchestras, Essen Philharmonic, Staatskapelle Weimar and Schleswig-Holstein Festival Orchestra, Orchestre National de Belgique and Flanders Symphony Orchestra, Radio Symphony Orchestra of Prague, Malmö Symphony and Bergen Philharmonic, Yomiuri Nippon Orchestra, Malaysian Philharmonic, Hong Kong Philharmonic as well as virtually every Dutch orchestra, including the Royal Concertgebouw Orchestra and the Rotterdam Philhamonic. Amongst the Conductors with whom she has worked are: Stefan Blunier, Frans Brüggen, Christoph von Dohnányi, Claus Peter Flor, Neeme Järvi, Yakov Kreizberg, Zdeněk Macál, Jun Märkl, Gianandrea Noseda, Marc Soustrot, Leonard Slatkin, Thomas Søndergård, Karl-Heinz Steffens, Mario Venzago, Jan Willem de Vriend and Jaap van Zweden. An avid chamber musician, Liza Ferschtman has collaborated regularly with artists such as Jonathan Biss, Nobuko Imai, Elisabeth Leonskaja, Christian Poltera, Lars Anders Tomter and Alisa Weilerstein, counting as her duo partners Enrico Pace and Inon Barnatan. Appearing at venues such as Alice Tully Hall (New York), Wigmore Hall (London), Musikverein (Vienna), Concertgebouw (Amsterdam), Liederhalle (Stuttgart) and Beethoven Haus (Bonn), she is also present at major international Chamber Music festivals. Moreover, Ms. Ferschtman has been the artistic director of the Delft Chamber Music Festival since 2007, one of the most admired festivals in the Netherlands. Recent highlights have been the performance of Bach's complete solo works in Amsterdam and a concert tour with the Budapest Festival Orchestra under Iván Fischer of which The New York Times wrote: "…with Dutch violinist Liza Ferschtman bringing refined beauty and character to the solo part of the Bernstein [Serenade] …the concert was nothing short of revelatory". In 2015/16 she will be looking forward to concerts with the Residentie Orkest The Hague, the Nuremberg Symphony, Staatskapelle Weimar, and Bremen Philharmonic. She will further perform a tour with the Concertgebouw Chamber Orchestra through Germany. Chamber music projects with different partners take her to the Schumannfest Düsseldorf, to Utrecht, Amsterdam and the Norwegian Risør Festival. Liza Ferschtman's recording of the Beethoven Concerto and Romances was received with great critical acclaim, as were other recordings with concertos by Dvořák and Röntgen, solo works by Bach and Ysaÿe (STRAD CD choice of the month), and duo works by Beethoven and Schubert. Her latest CD features solo works by Bach, Biber, Bartók and Berio (Challenge Classics).